So, by now, you’ve probably heard that using a straw is socially and environmentally unacceptable. Relying on flawed research done by a nine-year-old child, Starbucks responded to this new reality by announcing a phase out of all straws and a change from regular straw-friendly lids to cups that come with a sippy top. Isn’t that going to be fun? Looking like a toddler while sipping your adult coffee drink. Good times. Excuse me for a minute while I ROFL. Let’s just imagine how fun that conversation is going to be for the disabled or elderly person who now has to explainto the 16-year old barista that they need a straw because they have a problem feeling their mouth or that they have an issue seeing the teeny hole where they’re supposed to put their mouth, or that they need a straw because they don’t want to burn themselves taking in too large a mouthful…etc. etc. You get it. And it isn’t hard to imagine the sort of scenario where some smug and environmentally concerned barista, upon being asked for a straw, delivers an impassioned speech on why straws are KILLERS! I had my first encounter with a paper straw this weekend! LOL After I unwrapped that bad baby and put it in my water, what do you think happened next? Anyone with a brain (since I’ve had brain surgery, I’m legally allowed to make brain jokes) knows it’s going to come apart and it did! So I went through at least 10 paper straws while I was at the restaurant. So much for conserving! One plastic straw, which I’m pretty sure plastic is recyclable, vs 10 paper straws. Anyhoo. Some will tell me to just drink out of the cup but I now have a disability. One of the many is I can’t feel my mouth, and don’t know if I ever will again, so using a straw helps me not drool in public. I get it. All restaurants don’t have to cater to my disabilities but I seriously don’t get what was wrong with plastic straws. Yes, I can continue to use the paper but that’ll mean like 10-15 straws per restaurant visit vs one plastic. Does that make sense to you? Of all of the things I considered having to battle in my life as a black, disabled female, STRAWS is certainly not one that ever crossed my mind. As for disposable wipes, the issue here is mostly cost. Many biodegradable versions are available, but some of the best eco options can cost as much as £4.99, with an equivalent non-biodegradable set 79p. Hard-up parents, disabled people and those on benefits may be forced to choose the cheaper option. I know I certainly have done over the years. 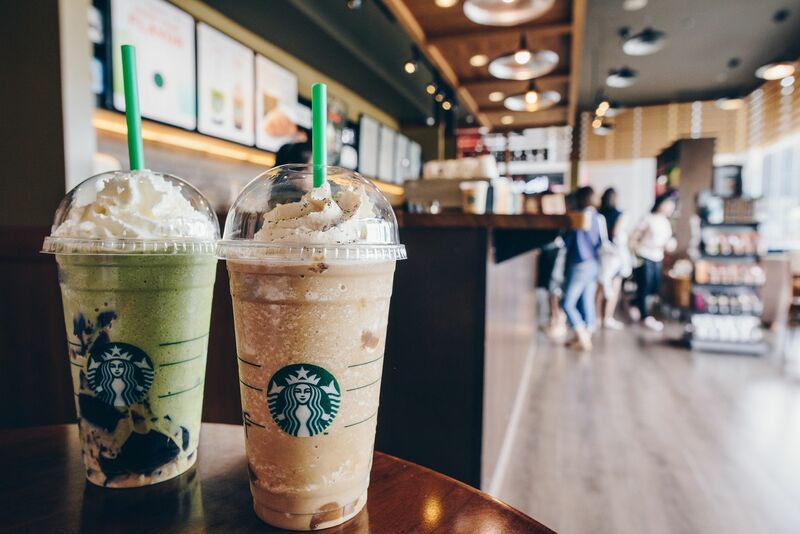 It’s great that Starbucks and other companies care about the oceans, but they should consider the consequences of these weak gestures and seek out better solutions to these major problems—solutions that do more than signal their own concern.